On Friday, November 3, Arizon employees brought in their favorite crock-pot recipes to compete in the company’s first Crock-pot Cook-off! 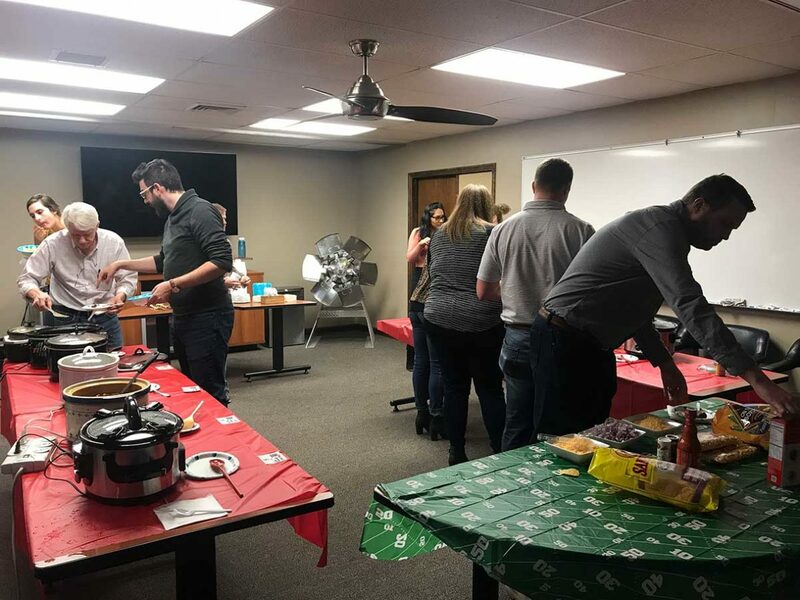 Employees set up their crock-pots in the main conference room at the St. Louis headquarters, and from 12pm-2pm everyone was welcome to sample from the variety of dishes and vote for their favorite. Valeria Mencias, an engineer originally hailing from Hawaii, made Shoyu chicken with rice which earned her first place. Amber Joiner, a member of the marketing team, made a white chocolate pumpkin lava cake that earned second place.